YEH CHIUN Industrial Company was established. Started producing Hydraulic Press Brakes. Started developing NC Hydraulic Press Brakes. Started producing NC Hydraulic Press Brakes. Started developing CNC 3 Axes Hydraulic Press Brakes. Started producing CNC 3 Axes Hydraulic Press Brakes. Started developing CNC 4 Axes Hydraulic Press Brakes. Started producing CNC 4 Axes Hydraulic Press Brakes. Started producing NC Hydraulic Shears. Allied with Yuan Chang Machine Co., Ltd. Started producing NC and CNC Metal Cold Roll Forming Machine. Started developing CNC 5~11 Axes High Precision Hydraulic Press Brakes. Started producing CNC 5~11 Axes High Precision Hydraulic Press Brakes. Started producing Automatic Hydraulic Shear Feeding and Stacking production line. 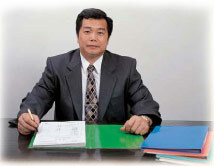 Since the establishment of YEH-CHIUN industrial company, the company has been known for the production of high accuracy NC/CNC multiple axes hydraulic press brakes, automated mechronic integrated system, and automatic producing line of box forming equipment, refrigerator panel, a whole set of clean room panel forming equipment and cold roll forming machine...etc., and has won the recognition of the industry and confidence of customers. In order to provide wider range of products to fulfill the increasing demands of customers, series of shears are developed. Through continuing self-motivation, the procedure of design, manufacture, inspection and service are under strict quality management to enable the product reach the deserved quality level. We believe that base on our decades hydraulic machines manufacturing experiences, we will achieve the ideal of " Pursuit for outstanding quality, continuous improvement. Upgrade competitive advantage, everlasting business management." and to establish a high efficiency, flexible and competitive production system.